A Mastermind Group brings together like-minded people who are dedicated and motivated to making effective and lasting changes to their lives in a collective group. The meetings are confidential and run professionally with a curriculum and complete respect for each participant’s privacy as well as complete respect for each participant’s time. By bringing fresh ideas and different perspectives, masterminds groups help you learn through feedback, advice, and group brainstorming. Program material will assist you in developing your leadership abilities for greater impact and professional success. Experience both personal and professional growth by interacting with other like-minded people as you work through the program together. A dynamic group of driven individuals gathering together to further their growth is a recipe for a powerful and unique experience that fosters immense success. What can I expect from one of these groups? These groups are one of the most enriching and effective ways to increase your leadership abilities. Through these small group training sessions, you will be equipped to reach your potential and do so at a much quicker rate than attempting it alone. But to put it simply, the Groups are small, interactive, knowledge packed, and fun! From day one you will walk away with a wealth of information, insight, and fresh ideas. How long does each program last? The duration of a Group will last between 8 to 10 weeks depending on the chosen program. We meet together for 1 – 1.5 hours each of those weeks. During the time between meetings, you will be given material to review and think through in preparation for the following meeting. The time you spend between meetings and after the conclusion is up to you but I encourage all participants to never stop studying and be a continuous student of leadership. Where are the Mastermind Groups held? In Person: These are for local teams, groups, and organizations that can easily meet one day each week. Virtual: A fantastic way for me to host these groups outside of the local area is by using a webinar program. This gives us the ability to speak via webcam and discuss just as if we were in the same room. It allows groups of people from all over the world to join in. Below are just some of the Mastermind programs offered. Each one is highly effective and serves to equip and engage the participants. 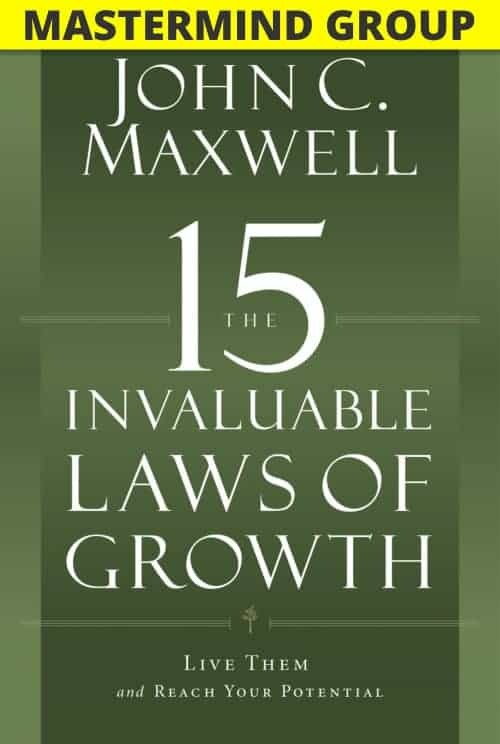 Are there tried and true principles that are always certain to help an individual grow? 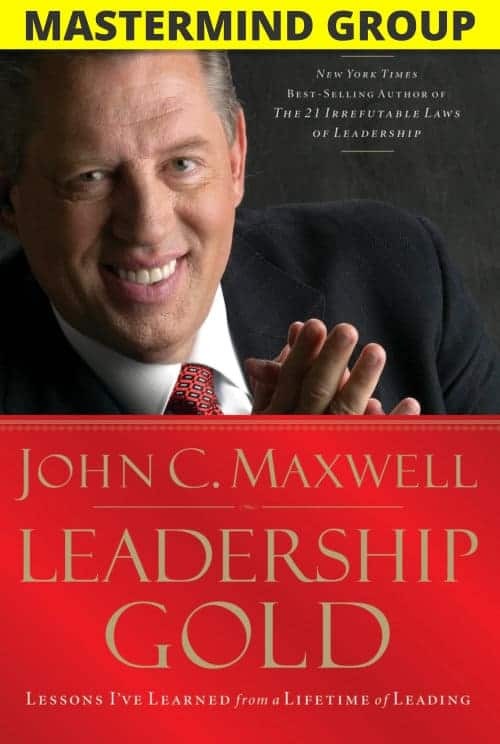 John Maxwell says that the answer is YES! For a person to ultimately reach their potential, you must be intentional about personal growth. This Mastermind Group will help you understand how personal growth really works, and how you can develop yourself to become a more effective and fulfilled individual. You will learn how to build up your sense of purpose and become more successful in every area of your life. Be highly intentional in your personal growth journey to become the person you are designed and destined to be! If you are an emerging leader, you will love the foundation this Mastermind Group provides. Experienced leaders will enjoy the insights and examples and will want to use the materials to develop the next generation of leaders on their team. Remember, good leadership always makes a deference! It can turn around organizations and positively impact the lives of thousands. If you are a CEO, Vice President, Business Owner, Manager, Director, or someone in a professional leadership position that wants to grow professionally while also building a strong team in their organization, this Mastermind Group is the perfect opportunity. If you truly want to succeed in life, you must learn how to connect with people. 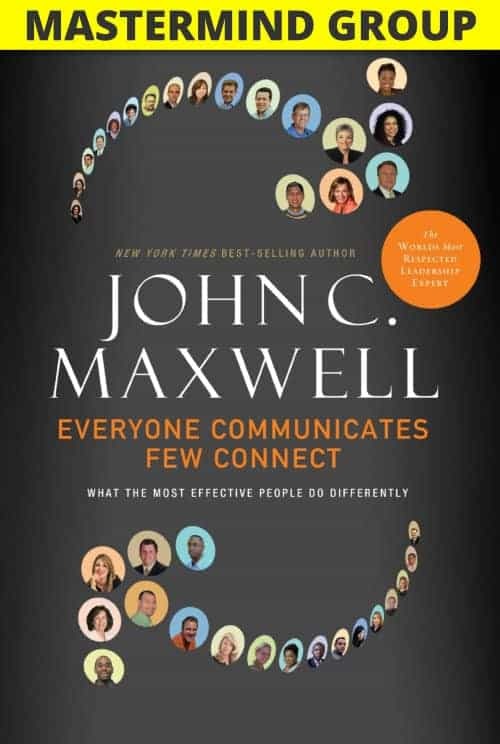 While it may seem like some people are just born with great communication skills, the fact is that anyone can learn how to make every communication an opportunity for a powerful connection. And through those connections, you will begin to gain influence which also increases your leadership. Do you want to be a successful leader? If so, then you will need to learn how to communicate in a way that reaches out and connects with others. In this Mastermind Group, you’ll learn to identify with people and relate to others in a way that increases your influence with them. People respond to one another according to their level of influence. The more influence you have, then the more people seek your advice, trust your decisions, and follow your lead. If you desire to be successful and lead the way, then you must focus on gaining influence. No matter what your goals are in life, you can achieve them faster, you can be more effective, and the contribution you make can be longer lasting if you learn to develop your influence. 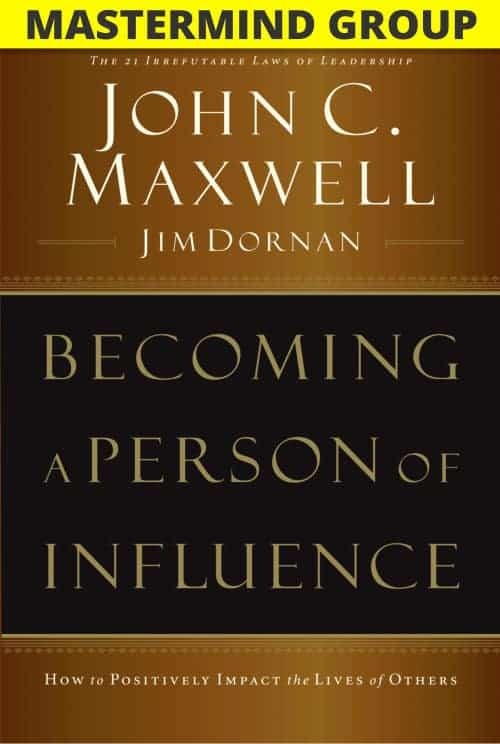 You don’t have to be in a high-profile occupation to be an influencer; whenever your life connects with another person, you exert influence. And leadership is influence. Nothing more and nothing less!